Attorney Chris Purcell is happy to provide award-winning aggressive and honest representation for families in Riverside County, CA. Attorneys with our top law firm have the knowledge and skills needed to get the best results for wrongful death victims. Our lawyers were able to get the largest wrongful death verdict that the state of California has ever seen. Our client reviews on Avvo are so excellent that we are one of the few Superb law firms in the Inland Empire. In today’s world, we take it for granted that danger is everywhere. When someone drives while intoxicated, when a landlord fails to fix a safety railing, or when a physician misdiagnoses a deadly illness, wrongful death can be the result. The legal definition of a “wrongful death” is an accidental death caused by the carelessness, recklessness, or negligence of another person or persons. Many in the state of California may not know where to turn to after the unexpected, accidental death of a beloved family member. If a death was accidental, but it was nevertheless caused by the negligence of another person or persons, a wrongful death claim may help the surviving family members to receive the compensation they need and to move on meaningfully with their lives. Chris Purcell has been fighting for justice for the families of wrongful death victims for more than twenty years, and he has the legal experience that wrongful death survivors need. Chris was a part of the team that won the largest-ever wrongful death judgment in California history – a $150 million judgment in Asam vs. Ortiz in 2013 – for an innocent family shattered by a catastrophic trucking collision. Although your own wrongful death claim may not lead to that type of verdict, Chris Purcell will bring the same diligence and determination to every case and to every client. In the state of California, no matter how a wrongful death takes place, if someone else’s negligence was the direct cause of the death, that person may be held accountable for that negligence with a wrongful death lawsuit. 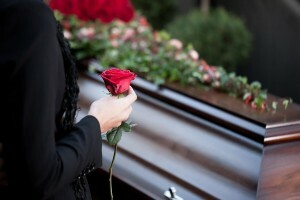 WHEN CAN A FAMILY FILE A WRONGFUL DEATH CLAIM IN CALIFORNIA? Suffering and grief can be overwhelming after the unexpected loss of a family member, and there’s no amount of money that can ease the pain. Nevertheless, when a loved one dies in an accident in southern California because another person was negligent, the family should contact a good wrongful death attorney immediately. Wrongful death lawyers advocate for the family’s rights and for the family’s best long-term interests. Let experienced Riverside wrongful death attorney Chris Purcell represent you and your family after a wrongful death. A family has the right to file a wrongful death claim whenever reckless or negligent behavior is the cause of a family member’s accidental death. It may be difficult for you and your family, but you must file a wrongful death claim as quickly as you can after a wrongful death. While money cannot alleviate pain, wrongful death settlements can provide for families that would otherwise suffer financial hardship after a wrongful death. If you are the parent, child, or spouse of someone who has lost his or her life in a wrongful death, take your case at once to attorney Chris Purcell. WHAT TYPES OF COMPENSATION CAN WRONGFUL DEATH ATTORNEYS HELP YOU RECOVER? The family members who are the survivors of a wrongful death will need to understand that emotional distress and the loss of consortium are legally considered “non-economic” damages that have no exact cash value, so the amount of any award for emotional distress or for loss of consortium will typically be decided by the judge or jury if that amount cannot be agreed upon in out-of-court negotiations between attorneys for the two parties. Traffic crashes are not the only way wrongful deaths occur in the U.S. Wrongful death claims can be linked to medical malpractice, defective consumer products, and a number of other causes. In 2010, for example, there were approximately 16,500 deaths from the use of prescription opioids, the pharmaceutical drugs that resemble morphine in both chemical structure and physical effect. Wrongful death caused by drowning in swimming pools is the number two cause of death for children ages one through four – only birth defects kill more children. In 1999, the Institute of Medicine dropped a bombshell on the medical community by reporting that up to 98,000 people a year die because of mistakes in hospitals. That number was initially disputed, but it is now the widely-accepted figure for annual wrongful deaths caused by medical malpractice. Chris Purcell is committed to helping your family move ahead in the most constructive way possible after a wrongful death. He will advocate on your family’s behalf for the maximum available compensation. Chris is a graduate of the University of California at Santa Barbara and the Santa Barbara College of Law. In 2011, he received the Top Gun Award from the Orange County Trial Lawyers Association. Chris Purcell’s credentials and experience guarantee that you will receive quality legal representation. The kind of extreme negligence that would allow a wrongful death to happen should always be penalized, and bringing your own wrongful death claim might prevent a similar tragedy from happening to another family in the future. You can be assured that as Chris Purcell’s client, your case will be handled with competence and care. From the offices of Purcell Law in Santa Ana and Irvine, Chris represents clients and their families throughout southern California in personal injury and wrongful death lawsuits involving pedestrian accidents, motorcycle accidents, construction accidents, premises liability, dog bites, and slip and fall accidents. Family is a very important value to our firm. All claims for wrongful death are handled on a contingency fee basis, so you pay nothing until and unless Purcell Law recovers compensation on your behalf. Chris Purcell is the Inland Empire/Riverside wrongful death attorney you can trust to provide frank advice and aggressive representation. No amount of money will bring back your loved one, but Attorney Chris Purcell will fight for the best possible outcome for your case. To schedule a free consultation with Chris, please call our law offices at 714-332-5098 or contact him by email today.